Press TV – More than 600,000 Syrians have returned to their homes in the seven months from January, mostly to the northwestern province of Aleppo which the government liberated at the end of 2016. According ton the the International Organization for Migration (IOM), it almost equaled the entire number of returnees in 2016. About 67 percent, or more than 400,000, of the returns this year have been to Aleppo Province which the Syrian government liberated from foreign-backed terrorists in mid-December last year. The liberation of Aleppo, Syria’s second city and an ancient marvel, represented the most serious setback for terrorists and their sponsors, tipping the scales in favor of the Syrian government. Most of the 602,759 Syrians, who returned to their homes between January and July, had been uprooted within their homeland, while the other 16 percent returned from Turkey, Lebanon, Jordan, and Iraq, the IOM noted. 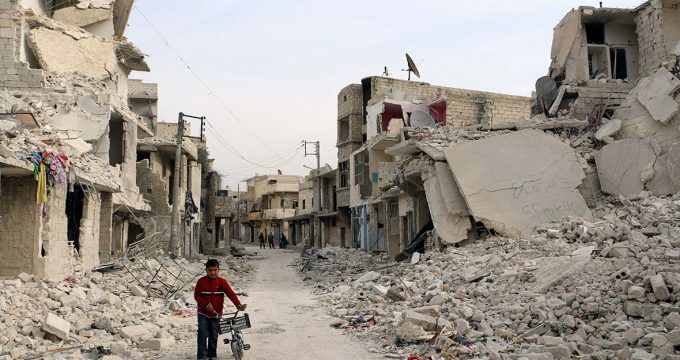 Syria, however, still contains more than six million internally-displaced people. Separately, Deputy Syrian Foreign Minister Faisal Mekdad said an international chemical weapons delegation, comprising the UN chemical watchdog of the Organization for the Prohibition of Chemical Weapons (OPCW) and the world body’s Joint Investigative Mechanism, is scheduled to arrive in Syria within 10 days. He said Damascus would facilitate its mission to investigate a horrendous April 4 attack in Aleppo’s neighboring province of Idlib. Over 80 people died in the purported gas attack on the town of Khan Shaykhun in Idlib, which the Western countries blamed on the Syrian government. Using the incident as a pretext, US warships fired 59 Tomahawk cruise missiles from two warships in the Mediterranean Sea at the Shayrat airfield in Syria’s central province of Homs on April 7. US officials claimed that the suspected Khan Shaykhun gas attack had been launched from the military site. “We will offer it all facilitations needed for the investigation and to help it arrive to the place where the alleged chemical attack took place,” Mekdad said. “We will ask them to go to Shayrat air base and by that Syria would have given proof that it has no relations to the use of poison gas,” he added. “We bet on the professionalism and neutrality of the Joint Investigation Mechanism that will visit Syria within the next ten days, to investigate who used chemical weapons,” the Syrian official concluded. The Syrian government turned over its entire chemical stockpile under a deal negotiated by Russia and the United States back in 2013. The OPCW oversaw the process.